In 1946, Justin Plyler had a vision for Myrtle Beach – he saw an affordable, family-friendly vacation destination that was so entertaining that families would return year after year. What started as a small gift shop with a large amusement park for children has grown into the largest gift shop in the area and one of the most visited attractions in the Grand Strand. 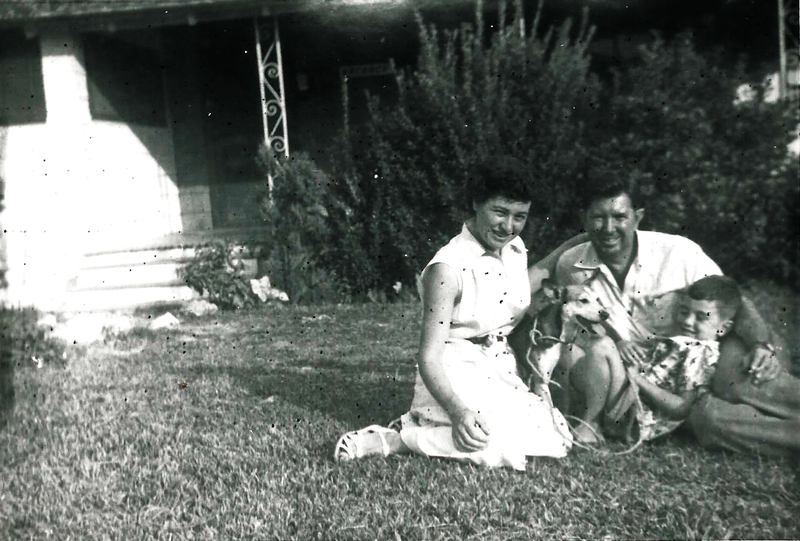 In the early 1940s, Justin and Eloise Plyler purchased their first oceanfront lot. Over the next few years, they would add businesses, including the Tom Thumb golf course; the Tuck ‘Em Inn; the Coast Inn; the Just Inn; a reptile show; Myrtle Beach’s first aquarium; a monkey exhibit, and later Gorillaland; a rifle range; Kiddieland with many rides including a Tilt-a-Whirl, bumper cars, and a pony rink; the Gay Dolphin Park with the Wild Mouse roller coaster and the Flying Cages; Jones Bingo; a donut shop; and of course, the Gay Dolphin Gift Cove. Justin Whitaker Plyler (originally from Salisbury, N.C.) and Eloise Plyler (who has had family roots in Horry and Georgetown Counties since the 1600s), with their daughter Kay Plyler Brandon and their son Justin A. “Buz” Plyler. Buz runs the Gay Dolphin today. The Gay Dolphin, along with Lazelle’s Flower Shop, are the oldest businesses in Myrtle Beach that are still owned and operated by the original family. Lazelle was Eloise’s sister. Justin, Eloise, Buz, and their dog Spot are pictured below. 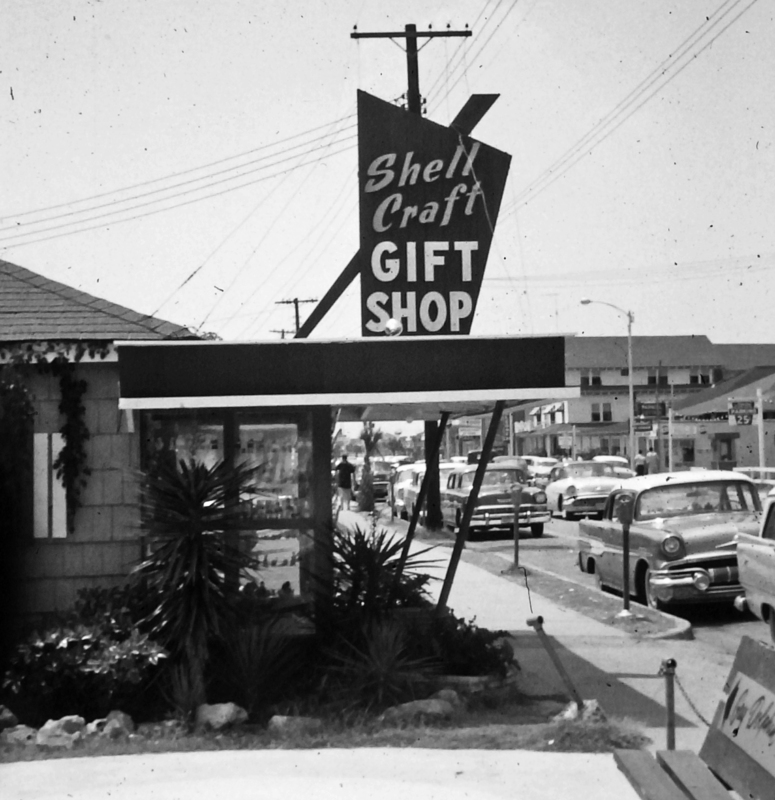 The first gift shop opened was called Shell Craft. The Gay Dolphin original store was destroyed in Hurricane Hazel in 1954. It was built back in phases. 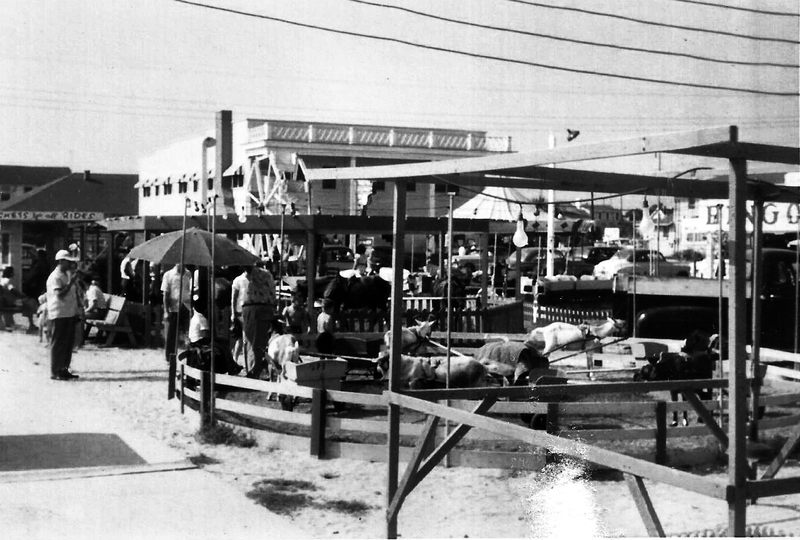 The oceanfront part of the store was rebuilt first, then the basement was dug and part of the stockroom was added. In the early 1960s, construction began to expand the store to Ocean Boulevard, and the iconic tower was built. 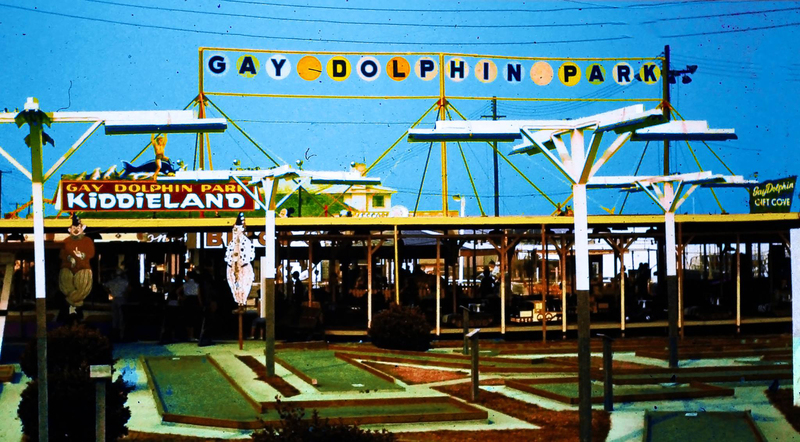 The Gay Dolphin was incorporated in 1946, and has long been an anchor of the Myrtle Beach Boardwalk and Boulevard. It become one of the most visited tourist attractions in Myrtle Beach. 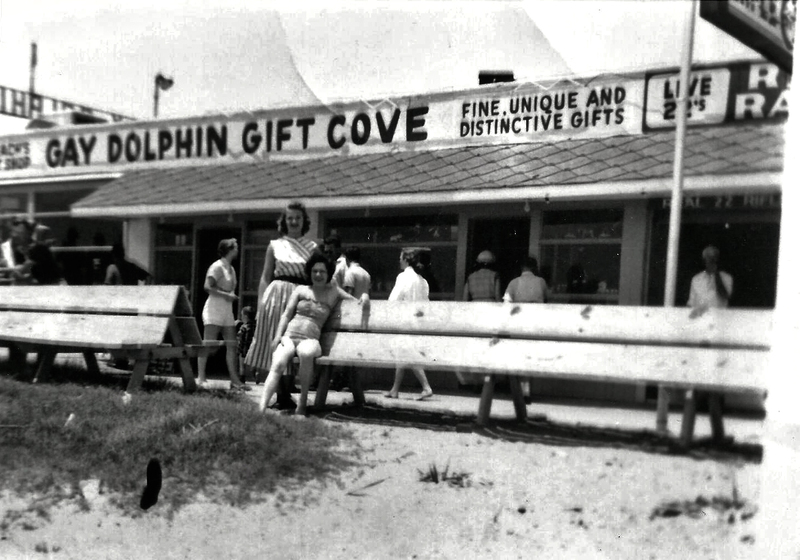 Kay Plyler Brandon (standing) is pictured below in front of the Gay Dolphin Gift Cove in the 50s.